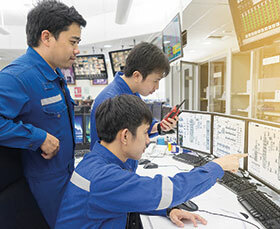 Emerson has expanded its Plantweb digital ecosystem with the launch of DeltaV version 14, a cybersecurity-certified control system designed to deliver new value in capital projects and make plant operations more connected and productive. The latest release provides significant innovations to the entire DeltaV architecture and was built with customers’ digital transformation initiatives in mind. This major update to the automation system includes several meaningful enhancements to eliminate costs and reduce complexity in capital projects, plus improve productivity during operations through enhanced access to production and equipment data, improved usability and greater security. Continuing to advance the impact of DeltaV electronic marshalling on capital project engineering, CHARM I/O Block takes CHARMs – which achieved more than one million deployments at more than 1100 sites in only five years – closer to the field. Small enclosures with up to 12 CHARMs can now be installed closer to field devices, significantly reducing wiring and overall installation costs by as much as 60% and providing more engineering flexibility. Smart Commissioning, launched in 2016, took one of the most engineering-intensive operations off a project’s critical path. Traditionally, commissioning has been a manual task that requires more than two hours per device for thousands of devices. Smart Commissioning reduced commissioning time to 25 minutes. Emerson is now expanding these capabilities and reducing device commissioning time to as little as 10 minutes, a nearly 93% reduction in costly commissioning time that could save several hundred-thousand dollars in engineering costs. DeltaV Live Operator Interface is a modern, built-for-purpose operations experience that is easy to understand and modify. The HMI comes pre-engineered with the industry’s best practices for user experience including ISA 101.01 and is based on research with the Centre for Operator Performance, a consortium of vendors and academia focused on human factors engineering. The HTML5 interface enables scalable graphics and gives operators the flexibility to adjust their displays to focus on process data that is most important for each situation. The new operator interface helps improve overall situational awareness and decision-making speed. Emerson is helping companies prepare for the shift to mobility with DeltaV Live by building a foundation for graphics to be transferrable across desktops, laptops, and mobile devices, all without additional engineering or custom scripting. Emerson announced the first two additions of its new DeltaV system last year with the DeltaV PK Controller and DeltaV Mobile. The DeltaV PK Controller enables plants to control skids and applications typically managed by PLCs with a standalone DeltaV controller or connect into an integrated full-scale DCS automation architecture or the cloud via embedded OPC UA. The DeltaV Mobile platform natively connects into DeltaV – securely and without additional engineering – to enable managers, engineers, operators and subject matter experts to monitor operations and have critical data and alarms at their fingertips, whenever and wherever they need it.